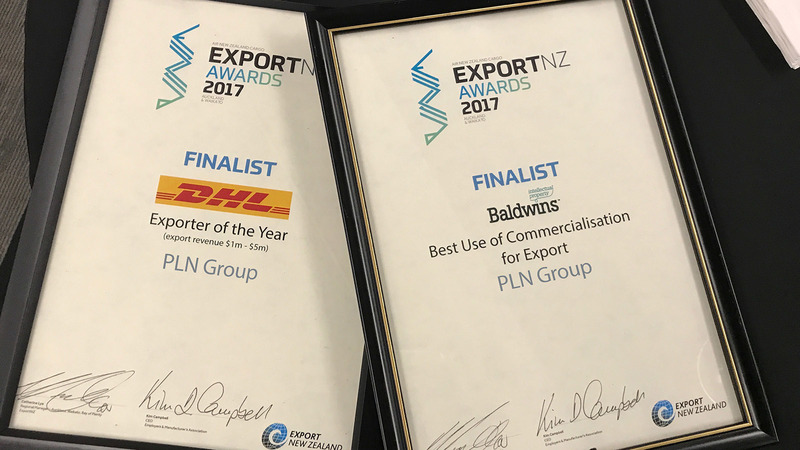 Proud team moment at the Air NZ Cargo Export NZ Awards last night as PLN Group was named as a finalist in two categories: Exporter of the Year (Revenue $1M-$5M) and Best Use of Commercialisation for Export. The awards judges selected 25 finalists in seven categories, from Waikato, Auckland and Northland. The awards will be presented on June 29. NZ Export Awards in the news.